Dance your cares away; Diana Dances – Joyce's mystery and fiction book reviews with some non-fiction too! The story…Diana does not like school! She especially hates the multiplication tables. Diana’s mother tries to help. she gets a tutor. The tutor is not successful. The medical doctor finds nothing wrong and suggests a psychologist. 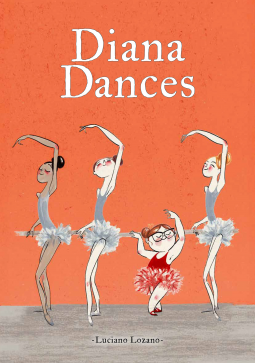 While there, Diana accidentally discovers that she loves to dance and move. From there, school gets better. This book may well appeal to young students who feel “out of sync” at school. The illustrations are amazing; whimsical, appealing, funny and fun. My quibbles: It is stereotypical to have a girl who struggles with Math. Also, everything improves very quickly. This is not generally the case in real life. Those points aside, this is a cute title. Thanks to NetGalley and the publisher. The opinion are my ow. Similar to the stereotypical boy who doesn’t like sport as though it’s a curse or something.